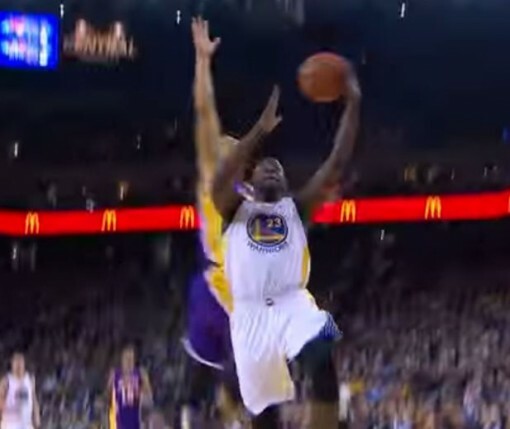 Against the Golden State Warriors, the 6-3 Jeremy Lin chased down the 6-7 Draymond Green for a shocking block. Lin timed Green’s left-handed layup perfectly, swatting it out of bounds to the shock of everyone in the building and those watching at home. For as cool as everyone seemed after the block, you know the players were all surprised by Lin emphatically sending Draymond’s shot out of bounds. Admit it, you were too.